I've read the first part of the Imperial Radch series, Ancillary Justice, which I enjoyed very much. 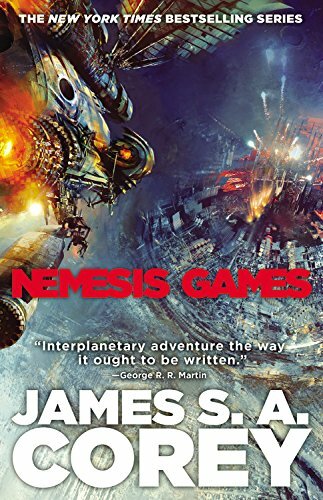 It was an excellent introduction to a new world of science fiction, and an interesting arc for a series where an empire would wage a secret war against itself. Therefore, I went into this second entry with a set of expectations about the content of this novel. Expectations that were thoroughly thwarted by the author writing something else. I had expected more intrigue and action. More surprises and technological horrors that raged through the last third of Ancillary Justice. I guess I had forgotten the first two thirds of quiet introspection and excellent world building that had proceeded all that fun. Instead, Ancillary Sword takes us to new places, but they are small intimate locations that hold none of the galactic level chess game that the end of the first novel had primed me for. 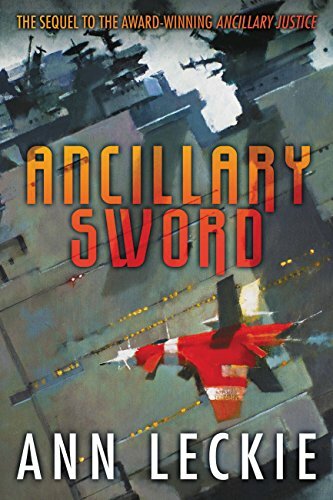 Ancillary Sword follows the same main character as Ancillary Justice. The cybernetic former ship AI turned revenge driven walking corpse Breq takes command of a new ship at the behest of the emperor of the titular Radch. Instead of pursuing the secret war raging at the heart of the empire, Breq decides that personal matters must be seen to, and travels to Athoek station, where the only living relative of his beloved Lieutenant Awn works as a Horticulturalist. This is an extremely personal story for Breq. The character is trying to come to grips with a new position while also dealing with the ongoing degradation of the empire due to the secret war. On Athoek station this is mostly through the examination of class. Of course, this being a continuation of the themes of Ancillary Justice, class is explored through an additional layer of what it means to be human. Are you still a worthwhile being if you have been ordered and cataloged by the society around you? Are you even human if you don't speak the language of civilization? This of course all being explored by someone who is decidedly not human. An AI walking around in a stolen body. It's the best quality of the series and Leckie doesn't let us down with her continued examination of our own society through the lens of the one she created. The strength of her vision is evident through every carefully chosen word of the novel, continuing the thought provoking work she started in Ancillary Justice. Even her "trick" of avoiding the naming of characters specific gender is continued here and used to great effect. The true genius of it is that you grow to simply not care who has what set of genes in their pants. The trick is not to leave you guessing, but to reach the point where you stop guessing, because it just doesn't matter. Her other themes are done with the same deft hand, not getting in the way of the story, but always there and available to be found without a lot of guessing and pretentious philosophizing. It's one of my favorite points of the series is that Leckie doesn't just ask these questions but shows us the path her created empire takes when it tries to answer basic questions about who is human and what it takes to be human. As impressed as I was by the quality of the writing I still felt that there were missed opportunities by staying with the small personal stories of Athoek station and not going out into the deep problems of the war inside the Imperial Radch. I would probably have less concerns if the ideas and concerns of the war weren't constantly being brought up in the story. If I could have just been left to live in Athoek station I might have come to terms with the breaking of my expectations. The story, though, constantly takes me back to all of the galactic level problems that Breq is actively avoiding and risking by going to Athoek to deal with his own personal issues. Issues that I ultimately just found less interesting the possibilities that existed out in the warring universe that Leckie had crafted for us. UPDATE: Macmillan Audio has made a clip of the audiobook available, read by Michael Kramer. Remember, you can get a free audiobook using our link at Audible! Executive Summary: If you enjoyed The Way of Kings, I'd be really surprised if you didn't like this one as well. 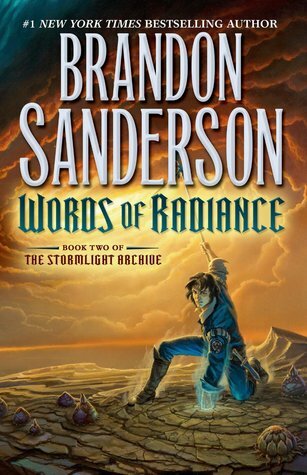 Mr. Sanderson does an excellent job building on the foundation he laid down in the first novel. This is a really hard review for me to write. I probably won't do the book justice. I'm very selective about which books I give 5 stars to, and even more selective about which books I deem favorites. When I read The Way of Kings it was easily added to both lists for me. And now so is this one. 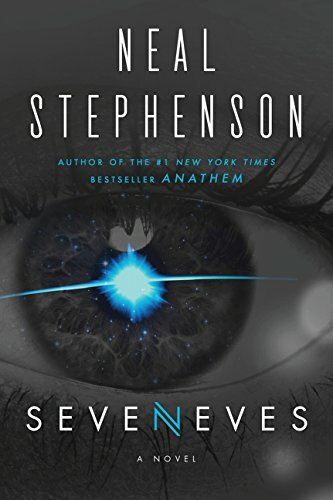 While I didn't have the same wait as anyone who read the first book when it came out, there was at least enough time to build up a sense of anticipation and a little bit of dread while I waited for this book to come out. 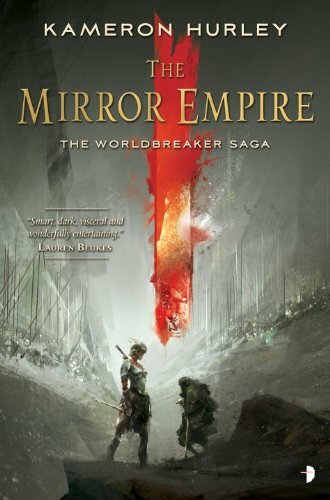 Would Mr. Sanderson be able to build upon the momentum of The Way of Kings or would things recede a little like most series tend to do for me? A ten-book, 10,000+ page series is really ambitious. It would be easy for things to go off the rails at any point along the way. I'm here to say: so far, so good. I can only assume that Mr. Sanderson is writing this series specifically for me. Sure there are other people out there who seem to like his books. But there are many who are critical about them. While I may be critical of some of his other books, you won't find that here. I loved every minute of it. 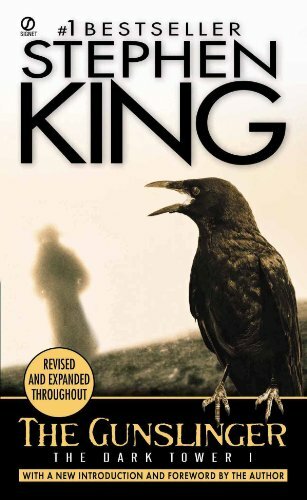 The pacing might still be considered slow by those who found that the case in The Way of Kings, but I think it moves along faster as he doesn't have to do the kinds of setup he did in the first book. One common comment I saw about book 1 was: "What is the point of Shallan here?". This book should answer that question for those people. While The Way of Kings focuses on Kaladin, this is Shallan's book. Don't fear Kaladin fans. You'll get plenty of him in this book, but he's just not the main focus here. Once again this is a book that just kept building momentum as it went. It started as a book I looked forward to reading each night and changed to a book I had to force myself to put down. The structure of the book is once again the same where you have 5 parts with various interludes between each. We are introduced to some pretty interesting new characters in these short interludes, as well as revisiting a few of those we met in The Way of Kings. I would have to say that while I enjoyed them all, Lift, the young thief was my favorite. I hope we'll be seeing a lot more of her in future books, and not just the interludes. The prologue is set at the exact same time as the prologue from The Way of Kings, only told from Jasnah's perspective instead of Szeth. This was a cool approach that I hope continues in the next few books at least. I'd like see Adolin's and Dalinar's take on these events at least. I'd be remiss to review a Brandon Sanderson book without at least mentioning the magic system. I love the world building so far and the characters, but it's the magic system that once again shines the brightest. We learn more about surgebinding and how it works, but there is still so much left to discover. His creativity not only at coming up with rules for various magic systems, but at how he applies those rules in ways I would have never considered always makes for great sequences. Overall I was really happy with this book. Kaladin is still my favorite character, yet I think I might have enjoyed this one more despite his reduced focus. Shallan really developed from an interesting side story into a proper main character in her own right. I am already looking forward to and dreading just a bit book 3 of this series. Will Mr. Sanderson be able to work his magic yet again? Well since he's writing this series for me personally, I'm sure he will.